This blog section of our site is provided to give our membership access to the site for posting information that they believe will be of value to visitors to the site. Opinions expressed herein are those of the author only. Protecting the enterprise was a far easier endeavor ten or more years ago. Companies primarily relied on the castle wall strategy of protection with the utilization of a strong firewall perimeter that encircled the servers, users and workstations within the confines of the on premise enterprise. It felt safe and pretty much was. However, much like the reliance on the medieval castle protection strategy that was eventually thwarted by the invention of gunpowder, trusting your network to the singular protection of a perimeter firewall is no longer enough. This is due to both the growing sophistication of the tactics used by cybercriminals as well as the evolvement of the enterprise itself. Businesses that have a web presence require triple firewall protection strategy today. A firewall is only as effective as its configuration however. Often times, outgoing firewall rules are ignored, yet their inclusion is vital to prevent outgoing SPAM and worms from spreading to the Internet, which can result in the blacklisting of your public IP addresses. It is important to have a knowledgeable cybersecurity professional on staff or contract one for implementation and support. For smaller businesses can utilize a managed services provider. We live in a mobile world today in which computing devices are regularly transported outside of the protection of the enterprise perimeter. In these instances, your company laptops and tablets are completely vulnerable. For this reason, it is imperative to enable and configure a software based firewall on all mobile computer devices. Fortunately, Windows operating systems are integrated with an effective firewall component so no additional cost or licensing is required. Windows Defender, which is included with Windows 10 goes beyond the mere routine of port protection and is constantly being updated in each subsequent branch update with new features including intelligence based scanning. 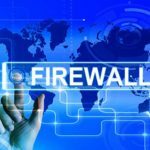 A host based firewall can also serve as a tool of last resort when the device resides within the enterprise itself. Again, a local firewall must be configured correctly to not only protect the host device, but also not inhibit its users from running authorized applications and tasks required to do their job. There were 4,149 data breaches in 2016 resulting in the compromise of more than 4.2 billion records. This seems surprising to many companies today as nearly all enterprises employ enterprise level firewalls to protect their infrastructure. The problem is that a network perimeter firewall is designed to protect the network at large. It can shield the servers that make up the hosting infrastructure for the web application site, but does little to combat malicious code and is unable to discern the complicated interaction exchanges between users and the application. Just as an online retail customer can interact with an online retail site, hackers can conduct malicious interactions as well. These attacks predominantly occur as SQL injections, cross-site scripting and malicious file executions. A modern day WAF is designed to protect against these and other OWASP Top Ten application risks. WAFs are able to discern fraudulent interactions from legitimate traffic. This is a highly complex task as hackers today weave their attack code within safe-looking website traffic. A WAF accomplishes this by intercepting and analyzing each and every HTTP request before they reach the web application. Because a WAF is a highly specialized and expensive security tool, many businesses choose a managed services provider rather than expend precious capital on the purchase of one. Please call NSC Information Technology Group at 713-974-3889 if you need to tighten up your security. You probably hear a lot about the cloud and how much your businesses are benefitting from it. If you believe everything you read, it seems like everything is better in the cloud. So what is the cloud exactly? The cloud is a network that hosts applications and services either onsite or remotely thanks to the dependable fast Internet services today. Unlike the traditional network located in a typical datacenter, the cloud it not hardware centric and location is irrelevant. It can service users whether it is located on premise or a thousand miles away. The generally accepted definition of cloud computing comes from the National Institute of Standards and Technology (NIST). 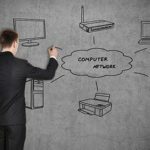 The cloud has some distinct advantages for business and their enterprises, but it is important to understand what the cloud can do for your organization. According to a recent report, 95 percent of IT professionals reported migrating some part of their infrastructure to the cloud in the past 12 months. However, 35 percent said they had also ultimately moved workloads out of the cloud and back on premise. Undoubtedly, some of the respondents who reversed their cloud migrations may have been overanxious to move to the cloud and neglected to scrutinize if the cloud is indeed a fit for their organization. The truth is, the majority of enterprise applications are not ready or the cloud. There are also many organizations that cannot use the cloud due to compliancy and regulatory reasons such as those who must follow HIPAA or PCI standards. Other organizations may have strict security policies that prohibit the hosting of company data on third party platforms. It is imperative to have an understanding of what the cloud can do and develop a cloud strategy beforehand. The first step is to understand what type of cloud deployment model fits your organization. There are three primary cloud deployment types. 1. Private Cloud – A private cloud exclusively serves a single organization and serves its employees and/or clients within that autonomous organization. It can be hosted on premise with some type of virtualization platform or provided by a third party such as a managed services provider. 2. Public Cloud – A public cloud is provisioned for use by the general public by a cloud provider such as Azure or Amazon Web Services. These public cloud providers can host resources and provide services for thousands of companies. This type of deployment is attractive to a startup business that does not have an existing network infrastructure. 3. Hybrid Cloud – A hybrid cloud is simply a conglomerate of a private cloud and one or more hybrid clouds. Although each cloud is often a unique entity, the network infrastructure is bound together by proprietary or standardized technology. An example could be a company that employs a public cloud to scale peak or unanticipated usage. An organization utilizing Office 365 while retaining an on premise active directory database is a classic example of a hybrid cloud. The next step is to pick a cloud service model. A service model dictates what elements the cloud service provider and the customer are responsible for managing. This is similar to the demarc of a public telecommunications company that provides phone and Internet services to a company. The demarc is the point of separation between the customer’s equipment and the provider’s. 1. Software as a Service (SaaS: Customers use an application provided by the SaaS provider that runs on the provider’s infrastructure. The customer does not have to worry about supporting or maintaining the application in any way. Users can access the application from anywhere in the world using either a web browser or some other type of thin client application. Office 365 and Salesforce.com are classic examples of SaaS applications. 2. Platform as a Server (PaaS): This model is especially beneficial for companies who develop their own business applications. In simple terms, the PaaS provider the hardware infrastructure (servers, switches, etc.) as well as the operating system. Customers then simply install their applications for which they are responsible for maintaining. Azure is an example of a PaaS provier. 3. Infrastructure as a Service: Customers can create their own datacenter in the cloud. The cloud provider supplies the physical datacenter, the racks of servers, storage and network equipment. The customer then provisions the virtual they need and is in charge of supporting them. A perfect example of IaaS is vCloud Air and Amazon Web Services. Cloud providers are constantly changing their service offerings and price structures so it is important to consult with a cloud expert who stays abreast with the latest trends, innovations and alternatives that are available. Two years, ransomware was barely on anyone’s radar. Today it is at the top-of-mind-awareness (TOPA) for IT teams and business leaders alike. Its presence has dominated headlines of nearly every media type over the past fourteen months. Its manifestation has affected nearly every type of industry, bringing operations of its unfortunate victims to a grinding halt. If it were a traditional business, its growth rate would be the envy of the world as ransom payments grew from $24 million in 2015 to $1 billion in 2016 according to a recent FBI report. Yes, that is correct; ransomware is a billion dollar industry. This is no flash in the pan that garnered its fifteen minutes of fame. Ransomware is a perpetual threat that continues to plague business operations throughout the world over as has been the case thus far in 2017. There are a number of things that happens when a billion dollars of revenue is involved. It attracts substantial levels of investment dollars and innovation as well as a multitude of opportunistic individuals with little scruples. Last year brought about Ransomware as a Service (RaaS), providing do-it-yourself packages for any cybercriminal wannabe for as little as $40. This led to multilevel marketing like structured organizations with their own distribution channels, tiered hierarchies and shared revenue plans. Top-level distributors are estimated to make somewhere around $300K. Innovation is resulting in new releases of ransomware that boasts user-friendly GUI interfaces so that users can more easily navigate themselves through the ransom payment process. Some ransomware variants even provide help functions such as chat boxes that allow the victim to communicate with client service specialists who are more than happy to educate “customers” through the bitcoin transaction process. According to Symantec, the average ransom demanded in 2016 was $679 and 64% of victims paid it. Many financial institutions report to carry bitcoin balances on hand in order to pay as quickly as possible in order to return to normal operations if afflicted. Hospitals are popular targets due to the critical nature of their operations. From small business to corporate giants, no one seems to be spared. Ransomware is a process in which malware infiltrates a device and encrypts some or all of the local data residing on any local, external or mapped drives. Some ransomware variants only target designated file types while other encrypt everything. Once encrypted, the data can no longer be accessed without the encryption key. The final step in the process is an automated screenshot that informs the victim of their circumstance and provides some type of link to click for further information. So the billion-dollar question to this billion-dollar menace is, “How do I protect my business from ransomware.” The task seems daunting at the least as businesses and organizations much larger than yours probably have found themselves victimized. The fact is however, that the blueprint used to combat ransomware and negate its nefarious manipulation of your data is quite simple. 2. Web filtering – It used to be that web users were only suspect to malware if they ventured into the murky regions of the Internet. Not so today. Hackers now embed legitimate websites with their malicious codes in order to initiate “Drive-by downloads” to which users unintentionally download the virus. Proper web filtering can strip away malware from the web sessions as well as prevent users from accessing sites that are known malware-launching locations. 3. Patching and Updating – Two recent and highly publicized ransomware attacks that inflicted thousands of organizations across the globe titled WannaCry and Petya, took advantage of a known exploit within the Microsoft operating system. Microsoft in an unprecedented move, released a patch for all Microsoft operating systems, including XP, (which was no longer supported) to eliminate the given exploit three months before the attacks took place. Had the IT teams of any inflicted organizations simply patched their devices, none of them would have suffered the devastating interruptions to their operations. QuickBooks for Mac User: "To Sierra or Not to Sierra?" Hamlet hardly had QuickBooks or operating systems in mind, but don't you think Shakespeare was a Mac guy?! While there are nice improvements in the Sierra update, you'll have to upgrade to QuickBooks for Mac 2016, and that will cost you about $180 to $190. The Sierra update itself is free. A client recently had her new MacBook stolen. In helping her recover her QuickBooks for Mac installation, we discovered her existing QuickBooks for Mac 2015 program would not work with her spanking new, replacement MacBook. Why? The new MacBook had the most recent Mac version, Sierra. So, what do you get with QuickBooks for Mac 2016 compared to 2015? If you think back to when you began exploring the Internet, the first thing you probably did was send and receive email. The second thing you did was navigate or surf the web on one of the browsers offered by either Microsoft or Apple. The browsers provided by the two rival companies could only be used with their respective operating system, also called an OS. Neither browser was compatible with any other OS. They came bundled with the computers offered by the companies at the time. Even Houston managed IT services companies had no choice but to use Internet Explorer for computers running MSDOS. Apple products included the Apple II and the very earliest versions of the Macintosh. They came loaded with the only other available browser, which was called Netscape. Netscape is rarely seen any longer. It was replaced by the newer browsers Firefox, Safari and Google Chrome. They provided an alternative to Internet Explorer, which had a tyrannical grip on Internet browsing before they came onto the scene. All browsers do the same basic task. They permit computer users to surf the web. However, surfing the web now and back in its infancy are two different things entirely. Computers were slower. They only had megabytes of memory as opposed to the gigabytes most computers are loaded with today. Internet ads were static. They were similar to a magazine ad except that they had a link to the company that placed the ad. Now, ads are interactive and frequently feature video clips that begin running the moment a user lands on the page where they are hosted. As memory increased, ads got bigger and gobbled up that extra memory. Today, there are four browsers that are most commonly used. They are all free to download on any comuter. As any Houston backup and disaster recovery service would attest, web browsers have their advantages and disadvantages. Microsoft’s IE was the first and the most widely used browser. It was pre-loaded on Windows-based personal computers. Its main strength initially was that most developers created pages that worked well with IE because of its wide usage. However, that popularity made it the target of computer hackers who took advantage of flaws in the code to gather the personal information of the individual users through so-called viruses and malicious software called malware, which can be removed from computers by Houston network security firms. Mozilla’s Firefox browser became IE’s chief competitor after Netscape lost favor with users. Many people migrated to Firefox simply because they disliked IE. Safari is Apple’s current web browser that replaced its previous browser named Panther. It has strengths and limitations too. The popular search engine Google has come out with its own browser named Chrome. Many people like it, and some say it is the most widely used browser currently. Residential moving is a stressful chore that involves a considerable amount of pre-planning. Commercial moving is even more complex. Relocating a single office or the contents of an entire building filled with office furniture, worker cubicles, inventory, point-of-sale terminals and company records demands the most ardent preparation. Now, you can add another task to the endless to-do list. You will need to make certain that your new facilities are ready to accommodate your company’s IT needs. In fact, you should consider having a Houston managed IT services company upgrade your new office with an eye toward possible expansion and your future requirements. Then, as you continue growing, your office will be ready and waiting. Look at it as an opportunity to improve your firm’s ability to adapt to growth and changes in the IT landscape.